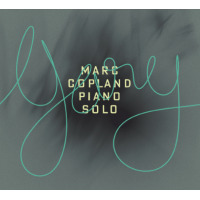 Between 2006 and 2012 pianist Marc Copland produced a rich discography on the Pirouet Records label. With a cast of top level sidemenGary Peacock, Paul Motian, John Abercrombie, Drew Gress, Billy Hart...you get the ideahe shaped up his distinctive sound and and lifted his profile into the stars. 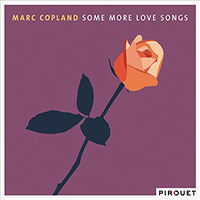 The year 2012 saw Copland's last Pirouet release, Some More Love Songs. 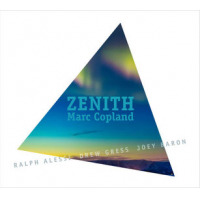 Then, in 2015, the fruit of the establishment of his own record label, InnerVoiceJazz, gave us Zenith, an excellent quartet set with trumpeter Ralph Alessi and the Copland's oftimes collaborators, bassist Drew Gress and drummer Joey Baron. It was a sound that announced a continuation of the quality and inspiration of his Pirouet days. 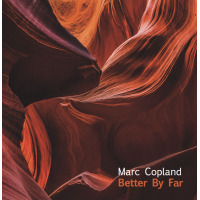 Next, in 2017, came Better By Far featuring its predecessor's same quartet line-upAlessi and Copland is a beautiful pairingand now, on his second InnerVoiceJazz set of the year 2017, he presents Nightfall, his first solo piano outing since Alone (Pirouet Records, 2009). The cover art: Vincent van Gogh's "Starry Night Over The Rhone." And if ever the spirit of the music of an album was captured by the cover, this is it: the juxtaposition of colors bright and dark, the hovering, crystalline stars, the blurred, bold brush strokes, the odd geometry, the smear of luminant city-light reflections on the water. The set opens with the late bassist Scott LaFaro's "Jade Visions," heard in it's original version on Sunday At The Village Vanguard (Riverside Records, 1961) by the Bill Evans Trio, with the innovative LaFaro on bass. Copland gives the tune his own distinctive shimmer, a beautiful wistfulness to begin the disc. 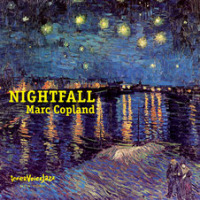 "Nightfall," from Copland's pen, seems like an audio version of the cover art. "String Thing" is Copland's reaction to a conversation concerning the guitar style of Stephen Still and Graham Nash. Indeed, Nightfall is, in part, a guitar tribute disc. The pianist covers guitarist Ralph Towner's "Song for A Friend," and two John Aberbcrombie tunes, "Another Ralph's" and "Greenstreet." 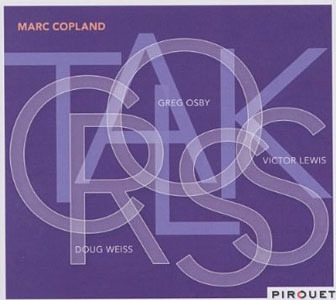 Copland teamed with guitarist Abercrombie oftenincluding on the Marc Copland/John Abercrombie duo release, Speak To Me (Pirouet Records, 2011), and he brings out a special luster in the the guitarist's compositions. Then there's the familiar Marc Copland touchstone, "Vignette," from the pen of bassist Gary Peacock. 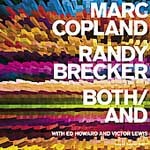 Copland covers this classic oftenhe opened his New York Trio Recording, Vol. 2, Voices (Pirouet Records, 2007), and revisited it on the Gary Peacock Trio's Now This (ECM Records, 2015). Every new interpretation shines. Track Listing: Jade Visions; Nightfall; String Thing; Song For A Friend; LST; Vignette; Another Ralph's; Greenstreet.